WISHES YOU A MERRY XMAS! And we wanted to treat you with few special gifts… Read below to know more about it! So, it’s been a good year for us, with 3 releases, 3 parties in 3 different countries, and we are overwhelmed with your ongoing support. 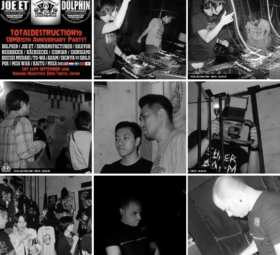 We would be nothing without you, so thank you all very much! By way of appreciation and in the season of goodwill, we’ve decided to offer you something back. Our Exclusive Limited Edition T-shirt was a massive success, but lots of people missed out and have been messaging us in numbers. In response to this we will be opening the window for the Xmas period for another chance to grab the T-shirt before it disappears forever. 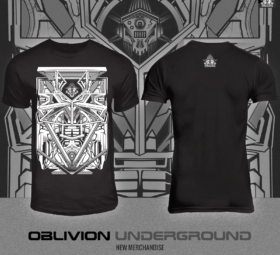 Visit www.oblivion-underground.com before the Tuesday 03/01/2017 midnight, go to “Oblivion Underground Limited Edition T-Shirt” in our “SHOP” section and follow the few easy instructions on the page to order.The T-shirt costs 25€ inculding the shipping to anywhere in the world. Each shirt will be shipped with free Oblivion Underground stickers. We have created a special bundle pack of ALL the Oblivion Underground releases to purchase in one go. 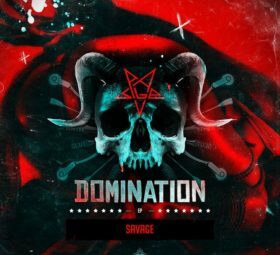 That’s 17 tracks at a special price of 15€ – less than 1€ per track! Click on “XMAS 2016 BONUS PACK“. As well as for the t-shirts pre-order, this offer will also run until the Tuesday 03/01/2017 midnight! 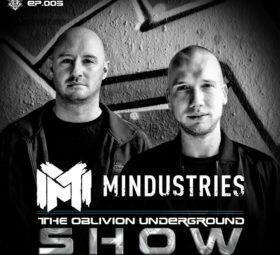 The Oblivion Underground Show EP.01 is now available to watch on YouTube, as well as to download on Soundcloud to listen to as a podcast. Of course, you can also still see it on Facebook. 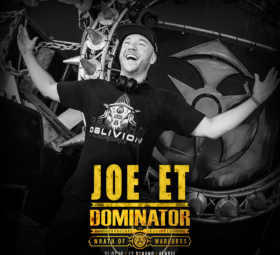 It features an exclusive interview and exclusive track previews with Switch Technique aka Nonexistent, sets from Joe ET and MPEP, Deathmachine as well as scene news. So that’s it, our last news of 2016. Have a great festive period, a Happy New Year and see you in 2017!